All-new, back-to-back episodes of Amazing America with Sarah Palin treated viewers to a bomb disarming robot, a home inside an abandoned missile silo, a special hunting excursion for veterans, and a profile of a true American hero known as The Horse Soldier. This eclectic hour of entertainment truly showcased just how amazing Americans can be. 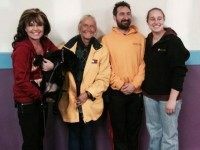 On the latest edition of Amazing America with Sarah Palin, viewers were treated to stories of love through hunting. The stars of the show are truly selfless heroes–men and women who set up dream hunts for terminally ill children and brave members of the FDNY and NYPD. Want to cut pork in Washington, DC? Perhaps the inept politicians should call on former Alaska Governor Sarah Palin. Her resume speaks for itself. On the latest episode of Amazing America with Sarah Palin, viewers were treated to an inside look at the Priefert Ranch. 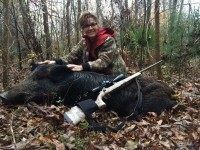 There, Palin got her hands dirty, running equipment, herding cattle and yes—hunting hogs. Palin brought home the bacon. Former Alaska Gov. Sarah Palin showcases survival skills and takes a creative shot at the lamestream media during the most recent edition of Amazing America with Sarah Palin on Sportsman Channel.